Cooperation: This is a non-profit blog, which is being funded personally by us, in a private capacity. Here we only occupy ourselves with subjects we find interesting. Go ahead – let us hear from you! Contact: romana ((@)) frangipani.cz. Our presentation download here: PRESENTATION Frangipani. Awards and partners: Since the 2015 our blog is included in a web archive Czech National Library as the first and only one life-style blog. 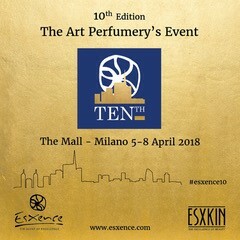 We are proud media partner of the worlds first exhibion of niche and art perfumery Esxence 2016, 2017 and 2018. Every year since 2013 we are nominated to „Blogger of the Year“ in the Czech republic.